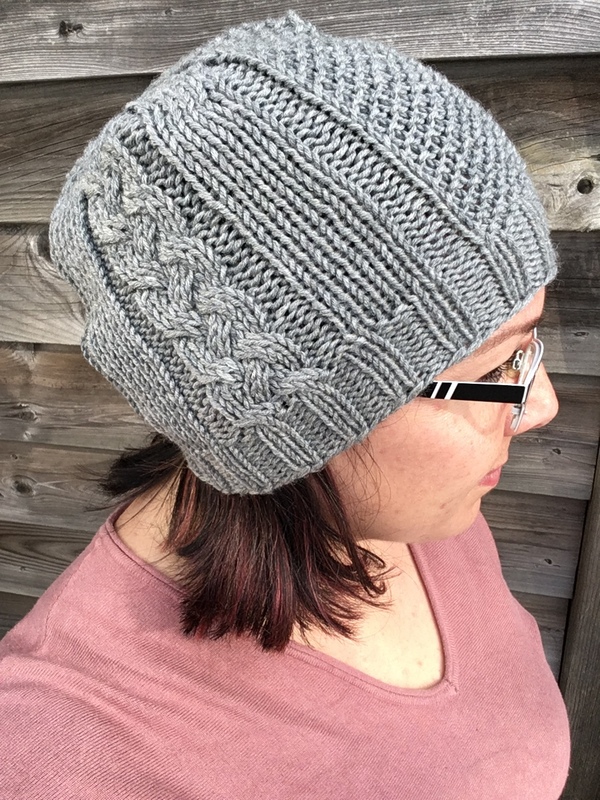 Next time, I pay better attention on Ravelry. You know how I love shawl style cowls, right? If not, you must be a new reader. Thanks for stopping by! Well, I love bandana style cowls that look like you’re wearing a shawl, but it doesn’t have the fiddly ends to adjust perpetually though the day. I’m constantly scouring Ravelry for different patterns of this style of cowl, and in early January, I bought the Lace Eyelet Cowl pattern. Super cute, with three distinct sections to the cowl. I got through section one in bits at a time, a great put-down, pick-up project. I got to section two and was VERY sorry to realize that this section, which is a little more intricate with the lace, Is. Not. Charted. I repeat. Not. Charted. I’m dragging my feet to keep working on this right now. I got so far as to play around with Stitch Fiddle to try and chart these directions. Stitch Fiddle is a website that can be used to chart knitting patterns, and I’ll be honest, while playing around on my iPad, I’m not 100% convinced I knew what I was doing, and didn’t have the gumption to leave my blanket and space heater to get my laptop. It’s been cold here in southern Ontario. Really cold. Like, currently -15C (or close to 0F) cold. Blanket and space heaters are necessary. I found a new favourite pattern. It has a silly-ish name, but it’s well written and works up quickly: Balls Up ! by General Hogbuffer. I’m always on the mission to use up those left over bits and bobs of yarn; a few endevours have been my sock yarn memory blanket, the Ex-Boyfriends shawl, and socks that I’ve lovingly referred to as my ‘ugly’ socks, an inappropriate moniker because they are one of my favourite pairs to wear. Why ugly socks? There are four different remnants of Opal sock yarn being used in these socks, all joined together with the Russian join method. It’s a little bit of a colour cacophony, but I kinda love them. With the holiday season in full force, I wanted to expand on my knitted ornament collection, which is where I found the ‘Balls Up!’ pattern, and my goodness is addictive! It’s especially satisfying when using self striping yarn, because you get the pattern without any effort. Also, when I say it’s a quick knit, boy is it ever! I can get one knit throughout an evening. 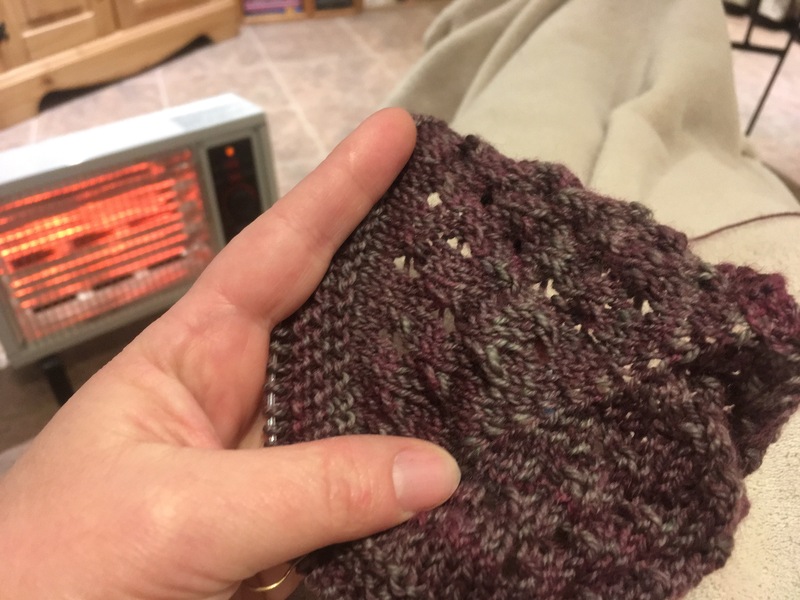 It is a wee bit finicky, specifically the beginning when you’re knitting in the round with only eight stitches, and it’s awkward knitting at the end after you’ve inserted your ball form. Something about these make me really happy.